Updates from Africa and the Middle East. Our most recent is about East Africa Green ICT workshop. Click on 'ME-Africa' tag above for all news about the region. 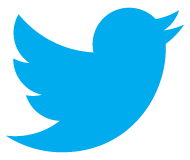 Click here for regional Green ICT updates from around the globe. A number of projects have sprung up in Africa to up-cycle e-waste into new technologies. Disrupt Africa reported in 2015, "Tanzanian innovation space Buni Hub has developed a 3D printer made from e-waste, the first of its kind in East and Central Africa...the e-waste 3D printer will be used to print prototypes and models at the hub, as well as assisting with small-scale manufacturing." The BBC reports from Togo in 2018, "It looks like a spider and it moves like one, but this robot creature cannot just be dismissed as a toy...'I made this from a [discarded] 3D printer,' Ousia Foli-Bebe says, pointing as his robotic arachnid. 'The plastic retrieved from the printer became the arms and legs. '...Mr Foli-Bebe takes the robot spider into schools hoping to interest the students in science and recycling." Togo has a history on creative e-waste up-cycling. "[Foli-Bebe] admits he has learned a lot about recycling from others such as Gnikou Afate, who is credited with having made the first 3D printer [from e-waste] in Togo. So impressive was Mr Afate's homemade printer that it took first place at the Barcelona Fabrication Technology conference in 2015." The BBC goes on to report that Togo is trying to deal with a rising tide of imported e-waste. "Local environmental body E-Waste Centre estimates that 500,000 tonnes come into the country every year...While it is not against international law to export used goods to other countries, the problem comes about if these goods no longer work as outlined by treaties such as the Basel and Bamako conventions. The Bamako convention, which came into force in 1998, commits African nations to banning the importation of hazardous waste, including radioactive material. It also encourages countries on the continent to adopt legislation to control the importation of near-end-of-life or unwanted equipment by designating such equipment as hazardous waste." A video in the BBC article has a local recycler describing his current load of 130 TVs as coming from "Germany and Holland". Togo still ranks low on the 2017 Global E-waste Monitor ranking of African nations by per-capita e-waste, with only 0-1 kg/inhabitant. EACO - the East African Communications Organization - " is a regional organization that brings together national ICT regulators, operators, services providers (in the telecommunication, broadcasting and postal sub-sectors) ICT training institutions and other stakeholders in the communication sector within Burundi, Kenya, Rwanda, Tanzania and Uganda." The EACO Working Group 10 sponsored a Green ICT Workshop in March of this year. I had just finished updating my field report on personal solar for devices with my Grand Canyon experiences when a colleague sent me similar information about the Middle East. 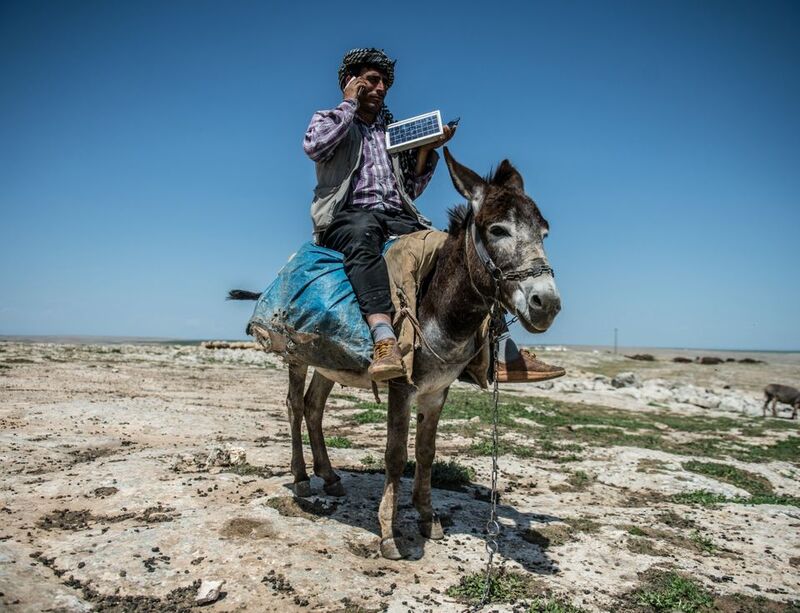 The Huffington Post reports that, "In Sanliurfa, Turkey, shepherds haul out personal solar panels to charge their phones...Fifty-nine percent of adults own smartphones in Turkey..." These personal solar panels look a little heftier than the one I was using, but they have to be donkey-compatible. Check out all the pictures on the Huffington Post article, courtesy of Getty Images. "In Africa, the total e-waste generation was 1.9 Mt in 2014...The top three African countries with the highest e-waste generation in absolute quantities are Egypt (0.37 Mt), South Africa (0.35 Mt) and Nigeria (0.22 Mt). The top three African countries with the highest e-waste generation in relative quantities are Equatorial Guinea (10.8 kg/inh. ), Seychelles (10.9 kg/inh.) and Mauritius (9.3 kg/inh.). In contrast with these relatively wealthy countries, the whole continent only generates 1.7 kg/inh. of e-waste domestically (excluding imports) annually. " This is from a UN University report. The growth of locally-generaed e-waste in rapidly developing economies clearly demonstrates that #ICT4D needs #GreenICT. A March 2014 Green ICT webinar in Arabic covered a comprehensive set of topics. This is a very positive developement because we have seen little coming out of the Middle East in the way of Green ICT awareness. Nabil Eid of the Telecentre.org Foundation shared a PDF of the webinar slides, attached to the bottom of this post. TechMoran reports on June 2014, "Millbug has recently announced its Vuya tablet PC together with its grand vision of bringing affordable gadgets to local areas with limited access to electricity. Vuya carries a price tag of just [~US$140] and is developed with one of South Africa’s most widely available resources in mind: the sun. The tablet relies on a solar charger (which is bundled with the device) as well as traditional electricity power outlets." Millbug Technology's website is silent about the bundled solar charger, but founder Sabelo Sibanda confirmed this by email. He also called my attention to an article in South Africa's TechCentral for more detail. "'We found that the photovoltaic cells in the solar panels we wanted to integrate into the device were not powerful enough to charge the 3 000mAh battery.' Also, some components melt in the sun. 'For practical reasons, we built a detachable power bank rated at 5 000mAh, which is charged using the sun’s power,' says Sibanda." Internet Now! is an Oxfam-led initiative to bring fiber-optic connectivity to 100 communities in Northern Uganda. Local internet access is through micro-centers - "small metal containers housing 5-6 computers. Local young people aged between 18 to 30 years, an age group severely affected by unemployment in the war-ravaged region, are employed to do 'microwork' at the centers. Microwork is a type of business process outsourcing breaking large cloud-based tasks down into several parts...Computers at the centers run on 23W and are powered entirely by solar energy." This combination of containers, PV solar, and low-power gear is typical of appropriate ICT in developing regions. More examples. Airtel Rwanda's Green Kigali project reported a 85% reduction in diesel use as of October 2013. The company says it "...has put reduction of fossilized fuel at the heart of its strategy. This means that no site of the company will rely solely on diesel power 24 hours a day." A March 2013 report by the Swiss Broadcasting Corporation says, "In sub-Saharan African, up to 70 per cent of medical equipment available is not used. In one third of cases, insufficient power supplies are to blame." The article also cites lack of spare parts and damage transporting the gear on poor roads. These are issues for all types of tech gear in developing areas, not just for medical equipment. A September 2013 New York Times article connects LED lighting, renewable energy, and mobile phone charging. "About half of Africans own [a mobile phone], and 75 or 80 percent have access to one...How do people without electricity charge their mobile phones? Solar lights increasingly come with that capacity...In 2009 there were some 300,000 solar lamps in use in Africa. By the end of 2012, there were 4 million, and sales are doubling each year...A family can buy a more ambitious solar lighting system that offers several lights and phone charging." The MIT Technology Review reports in May 2013 on a cellular base station being deployed in Zambia that is billed as “the lowest-power consumption outdoor base station in the world.” "Weighing just five kilograms and consuming just 50 watts, the gadget provides connectivity to 1,000 people…" Other gear - and power - is needed for a full-service base station. "The units require a second piece of equipment, known as the backhaul, to handle the connection to the main network. In [one village], this is done with a microwave transmitter that consumes 25 watts…" How does it work? "To achieve the low-power consumption, [developer Vanu’s] main strategy was to use a single software-controlled processer to handle all processing and networking tasks. On typical base stations, these jobs are done by two or three processors." Low-power gear is more amenable to being powered by renewable energy instead of by traditional diesel generators. Vanu tells me "the rural Zambian sites are solar powered". Connectivity for African education via TV Whites Spaces has been moved. Click here. Powering Telecoms: West Africa Market Analysis presents this view of the Green Telecom opportunities in the Ghana/Nigeria region. "…a subscription base of 24.9 and 107 million respectively…29,835 sites providing mobile network coverage to around 80% of current population in these two countries. Nigeria has a whopping 24,252 telecom tower sites in total while Ghana has a network base of 5,583 sites…Out of the total 24,252 telecom sites in Nigeria, around 52% of the sites are off-grid…against only 11% of in Ghana. The remaining sites…have grid power supply of variable quality and reliability. Due to Nigeria’s poor grid power supply, over 81% of its on-grid sites suffer power outages for up to 6 hours a day. Only 2% of off-grid sites are deployed with green power…~ 55% of off-grid sites) still rely heavily on diesel generator backup power, running 24x7. The remaining off-grid sites (43%) are deployed with battery hybrid solutions. Most of the on-grid sites have diesel generator as backup power source. The Reinvent Africa infrographic from mHealth Africa, with its 22 innovation centers, is a powerful illustration of the continent's emerging tech hubs. What is harder to discover is local application of Green ICT in Africa, which is critical to sustainable tech in everything from healthcare to telecom. Africa has been harmed by the not-so-green ICT practices of others, ranging from illegal disposal of e-waste to the brutal extraction of conflict minerals. Now that Africa is accelerating its own applied tech culture, it has a great opportunity to show others how to grow ICT sustainably. Women in Technology in Nigeria produced a simple but effective hand-drawn video on the positive and negative impacts of ICT. A discussion of e-waste figures prominently among the negatives. Click on the "recycle" tag, above, for more about e-waste in Africa and elsewhere. Bahrain's Royal University for Women sponsored a Greener & Smarter ICT Conference 16-17 May 2012. The Basel Convention's E-Waste Africa Project reported in December 2011 the drivers for Africa's looming local e-waste challenge: "Information Communication Technology (ICT) has revolutionized modern living, international business, global governance, communication, entertainment, transport, education, and health care. This has been driven by unprecedented high volumes of production and usage of consumer electronic products, in particular, personal computers, mobile phones, and television sets…The use of EEE [electrical and electronic equipment] is still low in Africa compared to other countries in the world, but it is growing at a staggering pace. In the last decade for instance, the penetration rate of personal computers has increased by a factor of 10, while the number of mobile phone subscribers has increased by a factor of 100." SustainableIT is "South Africa’s first ‘Green’ IT company"
Please post additional Green ICT information about this region as a comment, below.